Every year, in late July and early August, the small Northern German town of Wacken metamorphosizes from a tranquil, idyllic farming community to hosts of the world’s biggest, loudest and most dedicated heavy metal festival, in the process entertaining over 85,000 people from all corners of the globe. WACKEN OPEN AIR has never simply been a ‘festival’…it has, for over a quarter of a century, been a lifestyle, event and community closing up to those seen at the likes of Glastonbury in the UK and Burning Man in the US. As the festival’s founders Thomas Jensen and Holger Hübner always said: “Wacken is about the music and the lifestyle”. 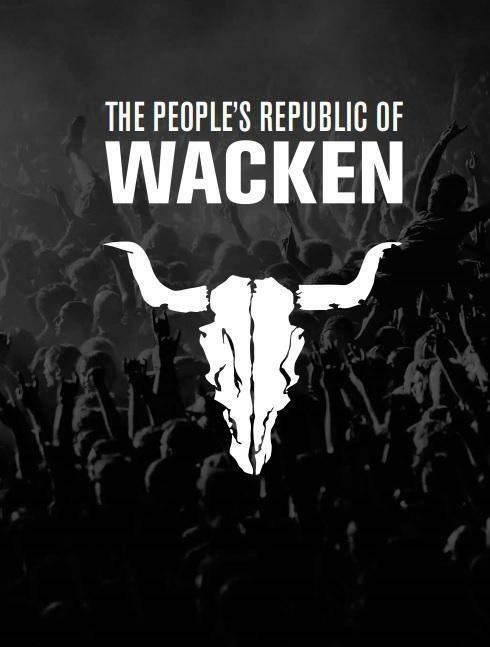 Using over 200 full-colour and lustrous black & white photographs, plus quotes from the people who create Wacken right through to the artists that perform, THE PEOPLE’S REPUBLIC OF WACKEN shows the heart, spirit, drive and unbelievable community of this remarkable 26 year old event.